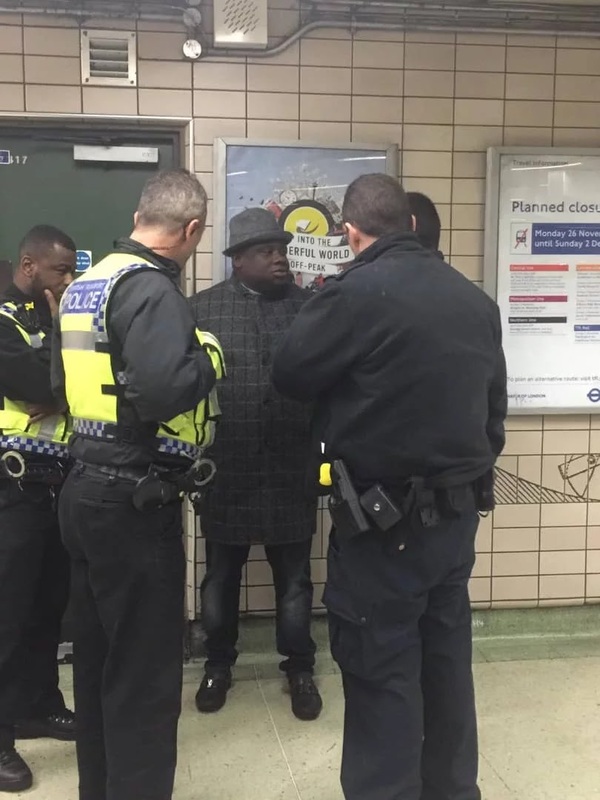 The London Metropolitan Police arrested a Nigerian businessman, Otunba Lekan Akinyele on the 24th November, 2018 for his alleged involvement in investment fraud and money laundering. 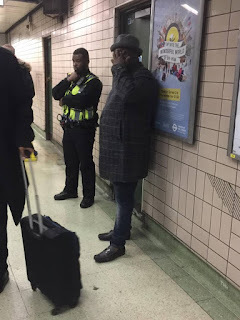 Otunba Akinyele was arrested at London Paddington Station following complaints that he had swindled many unsuspecting people of funds running into millions of British Pounds. Akinyele, who is a candidate for elective office in his home State of Ekiti, introduced himself to his victims as “Tony Woods” claiming to be a South African investment agent. His fraud and money laundering schemes involved several accomplices top amongst which is his London based wife who goes by the name of "Stephanie". One of the pictures of his arrest at the Train Station show him trying to cover his face but his face is clearly visble in another one. 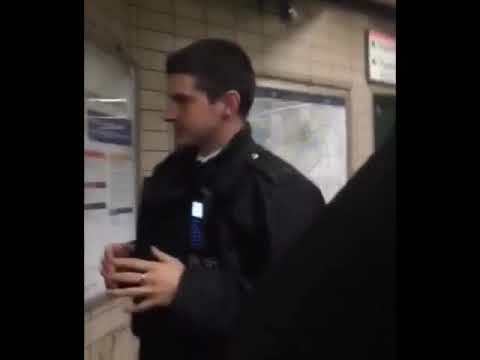 In a video of the incident, one of the arresting police officers can be heard reading him his rights and asking him if he wanted his legal representative to be present during his questioning. The bubble burst for Akinyele when the funds invested with him failed to yield the promised dividends leading his “investors” to raise serious queries. This led to discoveries that all documentation including bank statements, custom papers and investment certificates provided by the so called “Tony Woods” were false documents. When confronted by his victims, Akinyele went underground. 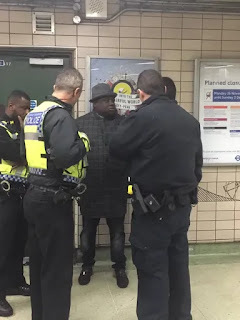 Consequently, criminal complaints were made against him leading to him being arrested by the London Metropolitan Police. 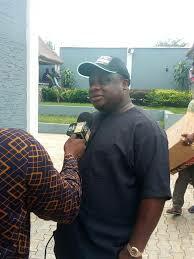 He was taken in for questioning and released on bail pending further investigations. It is however reported that he jumped bail and fled back home to Nigeria where he is the Peoples Democratic Party (PDP) candidate for the Ekiti State House of Assembly Efon Constituency seat at the elections scheduled for March 2nd, 2019. Investigations in Ekiti State revealed that Otunba Akinyele is a flamboyant politician who presents himself as a philanthropist to people in his Efon Alaaye hometown. Over the last two years, he has brazenly been flaunting his ill-gotten wealth, acquiring several chieftaincy titles, buying numerous vehicles for people and giving large sums of money to persuade them to vote him into office in the Ekiti State House of Assembly. Although he has no credentials or work experience to recommend him for the office, Akinyele proudly asserts that with the huge treasure chest he has at his disposal, nothing will stop him from winning the election.